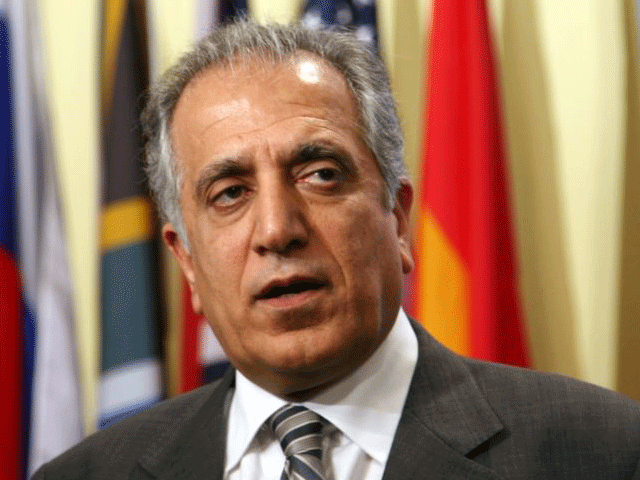 Khalilzad, who met Taliban representatives last month in Abu Dhabi, will travel to Afghanistan as well as China, India and Pakistan on the trip lasting through January 21, the State Department said. His trip comes after President Donald Trump signaled he would bring home half of the 14,000 US troops in Afghanistan as he grows increasingly impatient over America’s longest-ever war. But the Afghan-born Khalilzad, who served in top diplomatic posts under former president George W. Bush, last month voiced doubts about the Taliban’s sincerity after the militants refused to meet with negotiators from President Ashraf Ghani’s internationally recognized government. Khalilzad’s talks with the Taliban last month involved Pakistan, Saudi Arabia and the United Arab Emirates, the three countries that recognized the extremist regime in Kabul before the US-led coalition toppled it following the September 11, 2001 attacks. China has also been seeking a larger role in the region, inviting Taliban leaders to talks as it pursues its “Belt and Road” policy of expanding trade across Asia and separately clamps down on its Uighur Muslim minority at home.